L.A. County Choprods is now offering our Billet Knuckle gas/oil cap. The cap is machined from 6061 billet aluminum and is available in raw machined, polished or chrome finish. 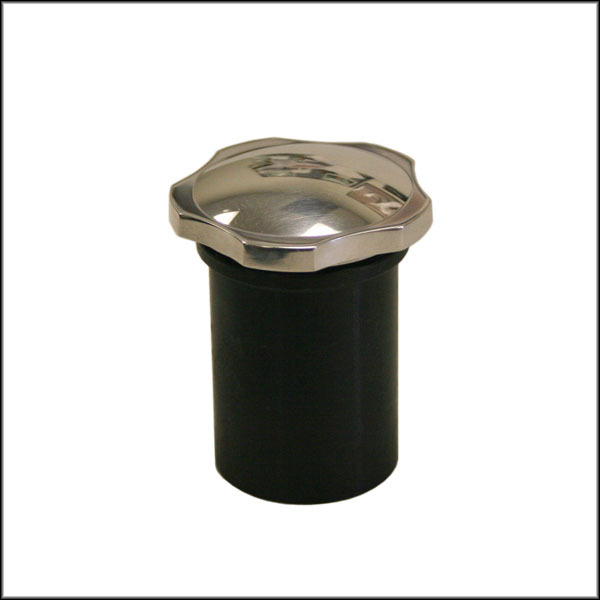 The cap can be used non-vented or vented by simply removing the stainless steel set screw on the bottom. The weld-in Bung is included with your choice of 2″ stand-up or our reversible 3/4″ low rise / flush bung as used on the Crown Cap.